How can you tell if a robot is going to steal your or your kid’s job? Will automation mean there isn’t enough work for everyone? Prof James Maclaurin looks at the shape of the future and how we might prepare for it. Professor James Maclaurin is a philosopher of science whose work has particularly focused on evolutionary biology, information, and computing. He has a wide interest in the possibilities of ‘applied philosophy’, applying the traditions of philosophical thought and argument to important political and social problems. 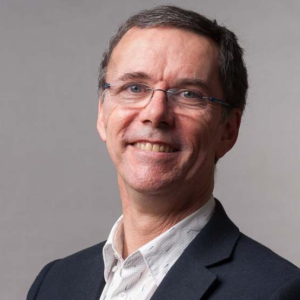 In particular, as co-director of the Centre for Artificial Intelligence and Public Policy at Otago, he is playing a prominent role in nationwide debates over the ethical dimensions of technological change.